One critical activity of the Aleppo Compatriotic Charitable Organization (Aleppo-NGO) is to provide long-term housing solutions for Syrian refugees in Armenia who have sought refuge as a result of the conflict in Syria. Housing for displaced persons is one of the most challenging problems facing Syrians in Armenia as it is difficult to find an extremely expensive. 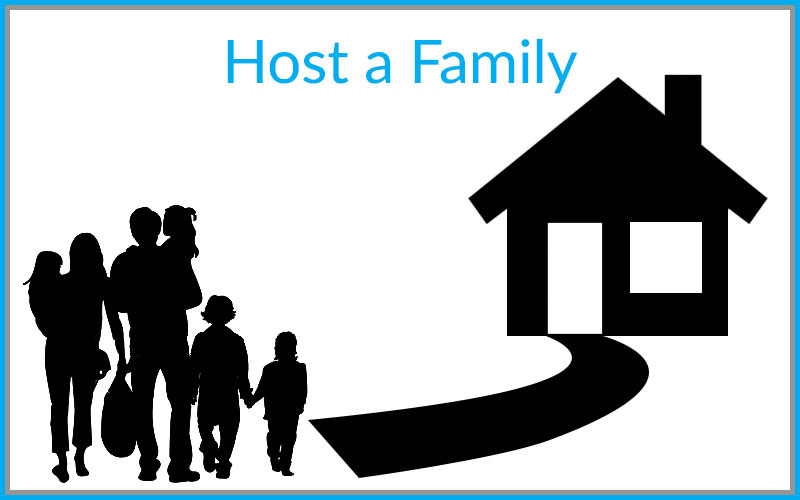 Due to these housing challenges, Aleppo-NGO has developed a housing program called, “Host a Family,” which provides long-term temporary apartments for Syrian refugee families in need. This project is being implemented with the support of generous donors around the world who purchase apartments and provide the apartments free of charge for the most vulnerable refugee families in Armenia. Thanks to the generous contribution of donor, Mr. Hovhannes Mardirossian, a Syrian family now has a new home. Through supporting and temporarily solving the housing issues, benefactor Mardirossian encourages the family to move forward and build their future in Armenia with confidence. Aleppo-NGO and the Syrian family beneficiary would like to express our deepest gratitude to Mr. Mardirossian for his humanitarian contribution to the “Host a Family” project implemented by Aleppo-NGO. The aim of “Host a Family” project is to provide essential resources to Syrian refugees by providing shelter and other essential priority items to those who have been injured and displaced as a result of Syrian crisis. Within the framework of the project, the apartments are being obtained by the means of benefactors and on the contractual basis being temporary and free of charge to the most vulnerable Syrian families sheltered in Armenia. The houses belong to philanthropists and the vulnerable families temporarily live in the provided houses free of charge. In the frame of the project, the United Nations High Commissioner for Refugees (UNHCR) provides furniture for the obtained apartments according to the Exchange of Letters signed between UNHCR and Aleppo-NGO. The project is implemented with the financial assistance of donors, who are buying flats in Armenia, and provide Syrian families in need with home without any charge and under the set conditions. Aleppo-NGO is also cooperating with Global Hope Network International by offering houses to Syrian refugees in the Spitak, Lori region of Armenia.